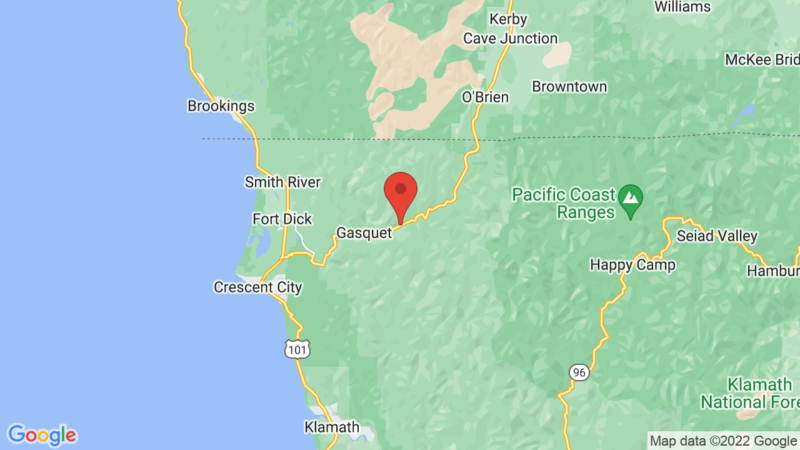 Grassy Flat Campground has 19 single-family campsites among a forest of Douglas fir and is located close to the Middle Fork of the Smith River in Six Rivers National Forest. There are no views of the river from the campground, but there is a short 50-foot trail down to a nice swimming/fishing hole. Campsites can accommodate tents, trailers and RVs. Sites 2-5 are walk-in tent-only sites. Some sites are first-come, first-serve. Each campsite also has a table, fire ring and grate. Campground amenities include drinking water and vault toilets. Nearby Smith River offers exciting rafting and kayaking opportunities on Class 5 whitewater. There’s also some great fishing on the Smith River. Other outdoor recreational activities include swimming, tub ing hiking, horseback riding, mountain biking, picnicking and wildlife viewing. The campground is also located just off the “Redwood Highway” and close to Redwood National Park. Jedediah Smith Redwoods State Park is also nearby. Visted Grassy Flat Campground lately? We'd love to hear about your adventure. Did you find us useful? Did we forget something? Anything our community should know before heading out to Grassy Flat?